Vice-President, Delhi University Students Union. Elected as MCD Councilor thrice i.e. 1997-2002, 2002-2007, 2007-2012. 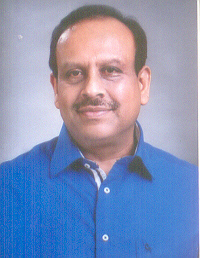 Chairman, Law&General Purpose Committee, MCD(1997-1998). Chairman, Standing Committee MCD 2007-2009. Member, Master Plan for Delhi-2021, sub group on Trade & Commerce. Deputy Chairman, High Powered House Tax Committee, 2001-2002. As Member of High-level delegations in Australia, New Zeeland & Thailand, USA, Canada, England, France, Switzerland, South Koriea, Germany and Austria. Presidnet, Delhi Abhibhavak Mahasangh apex body of the parents organizations since 1998.